Dawn’s checkout phase continues to go very well. The spacecraft is healthy as it and Earth travel their separate ways, separating at almost 1 light second (nearly 300,000 kilometers, or 186,000 miles) per day. In our last report, thruster #3 of the ion propulsion system had been operated for 25 hours. Dawn’s mission control team at JPL commanded the probe to conduct additional tests on October 8 and 9, some focused on the thruster itself and others on how the attitude control system operated during thrusting. Both systems passed with flying colors (for the more literal-minded readers: flying - away from Earth at about 3.3 kilometers/second, or 7400 miles/hour; colors - the blue-green of a xenon ion beam). Although operation of the ion thruster was an important success, it did not guarantee that the other thrusters would perform as planned. On October 10, the team’s attention shifted to thruster #1. (The thruster numbers are described in the previous log and can be found in the white pages in most binary star systems.) The system that feeds xenon propellant to the thrusters was prepared for operational use before the tests with thruster #3, but each thruster has to undergo individual preparation as well. To begin, thruster #1 was treated to the same ministrations #3 received on October 4 and 5. Dawn will carry out most of its functions much farther from the Sun than Earthlings reside (although closer than most of our readers reside). On October 24, the spacecraft reached a greater solar distance than Earth ever attains in its annual elliptical orbit and will never again visit Earth’s part of the solar system. But still for a little while longer, it will be close enough to the Sun that careful monitoring is required to ensure that components remain at acceptable temperatures. Although thruster #1 and #3 are mounted on different parts of the spacecraft and point in different directions, engineers had determined that to measure the thrust by using the Doppler shift, just as thruster #3 should not be aimed at Earth, neither should thruster #1 at this time in the mission. In both cases, it was clear that pointing the thruster toward Earth would cause other components to overheat. Pointing thruster #1 away from Earth however raised the possibility that another component would reach an undesirable temperature. The plan was formulated to conduct the test with a software timer running onboard to stop it after a certain time had elapsed. That way, if the temperature of the component approached a limit that engineers did not want it to reach, or any other issues arose, and the team was unable to intervene because communications were interrupted (as can happen occasionally with systems as complex as deep-space communications), the spacecraft would stop the activity and return to the original orientation. The timer was to be reset by controllers at regular intervals until the data showed that the temperature would stabilize at an acceptable value. On October 11, after instructing the spacecraft to rotate so that thruster #1 was directed away from Earth, mission control transmitted the commands to initiate ion thrusting. Electrical measurements transmitted from the spacecraft and Doppler computations performed by the navigation team all soon confirmed that the thruster was applying its well-known light touch. Thruster #1’s first operation in space was excellent. After almost 8 hours of thrusting, the temperature of greatest interest was below the limit engineers had established, although it was still creeping up. While dealing with a temporary problem with communications between systems at JPL and the Deep Space Network, the small team monitoring the spacecraft on the night shift did not have time to reset the timer. The timer activated and, as designed, terminated the activity rather than let it continue without approval from mission control. With some simple changes to parameters in the thermal control system, the test was restarted on October 23. It completed flawlessly on October 24 about 6:30 pm after operating thruster #1 at 5 different throttle levels for almost 27 hours. While GRaND (and the other instruments) are much much too far from any solar system bodies to verify how well they will work at Vesta and Ceres, scientists have alternatives. Cosmic rays, high energy radiation that pervades space, constantly impinge upon the spacecraft. GRaND can detect some of that radiation directly. In addition, it senses some of the byproducts of interactions between cosmic rays and nuclei of atoms in the spacecraft. While the signals that were observed were not as grand (yes, the pun is an easy one, but readers should get accustomed to it, as it is expected to recur throughout Dawn’s mission) as those expected at Vesta and Ceres, they were sufficient to demonstrate the instrument is healthy and ready for further operations. GRaND remained powered on and measuring cosmic rays through October 22, when it was turned off in preparation for other spacecraft activities. The visible and infrared mapping spectrometer (VIR) was the center of attention on October 17. (The instrument’s acronym was chosen because, as its Italian developers of both sexes recognized, “vir” is Latin for “man.” [Editors in Virgo, please take note: To maintain the good relations we have worked so hard to establish with locals, you may substitute the explanation that the name was chosen because stars in your constellation often are known by abbreviations that include “Vir,” such as Alpha Vir, R Vir, and 109 Vir.]) Objects as warm as the spacecraft (or, for that matter, as warm as many readers) emit so much infrared that if VIR’s detector were at that temperature, their own infrared radiation would interfere with planned measurements. Therefore, VIR incorporates an electronic cooling system which brought the infrared detector to about -191°C (-312°F). In the absence of nearby targets to observe, VIR tests use internal lamps that produce both visible and infrared light. VIR’s cover was opened and closed, demonstrating that the mechanism controlling it works correctly. In addition, the instrument has an internal mirror that can be moved to make small changes in the direction VIR looks, and that scan mechanism was verified. With all tests showing VIR to be fully healthy and ready for future operations, the flight team conducted the first checkout of a science camera on October 18. 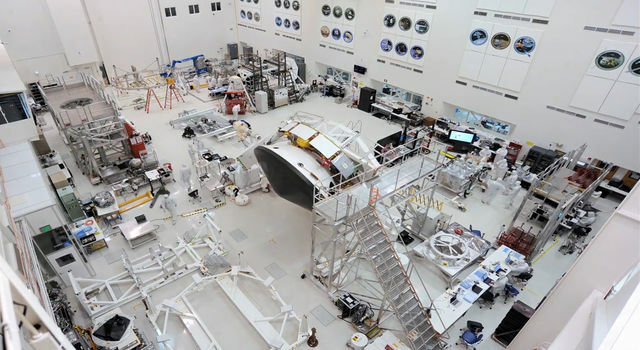 Two such cameras are onboard, and following standard practice on JPL’s planetary spacecraft, only one is checked out at a time. While it does not need to operate as cold as VIR’s detector, the camera requires its detector to be well below normal spacecraft temperatures, and the device cooled to below -69°C (about -93°F). The camera’s filter wheel, which allows pictures to be taken in color and even in near infrared, was exercised, and the instrument cover was opened and closed. As with VIR, all of the camera’s optics, electronics, detectors, and mechanisms are in excellent condition and ready for the mission ahead. More tests will be conducted with each of the instruments during the coming years, but all indications from their first opportunities to operate in space are that they are in fine fettle and will yield the exciting scientific data for which they were designed. Following a wonderfully successful week of instrument tests, the Dawn team returned to propulsion tests the week of October 22. As well over 0.20% of readers know, Dawn relies on ion propulsion for reaching its destinations. Indeed, ions will propel the craft past Mars, on to Vesta, into orbit around that massive asteroid, from one orbit to another to allow the science instruments to gather data from different perspectives, out of Vesta orbit and back into orbit around the Sun, through more of the asteroid belt to dwarf planet Ceres, into orbit there, and through a series of orbits as at Vesta. Such a mission is far beyond the capability of conventional chemical propulsion; yet Dawn also has a reaction control system powered by the conventional propellant hydrazine. The reaction control system is planned to be used only to help in stabilizing or changing the spacecraft’s orientation. 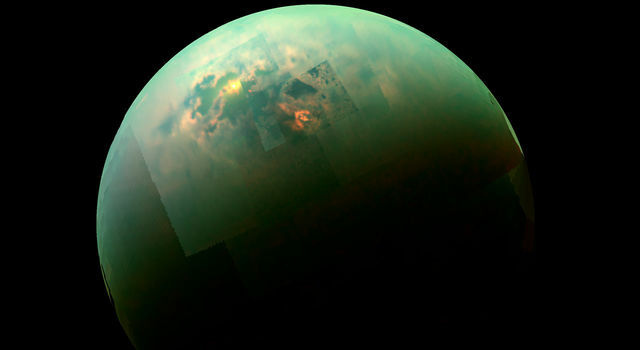 Even if the entire 45.6-kilogram (101-pound) supply of hydrazine were devoted to changing Dawn’s velocity, the effect would be less than 0.1 kilometers per second (220 miles per hour), quite insignificant compared to the ion thrusting plan of about 11 kilometers per second (nearly 25,000 miles per hour). Despite its much lower efficiency, there are some dire (but highly unlikely!) cases in which the higher thrust of the reaction control system may prove critical. In those contingencies, patience may not be a virtue. As well over 0.19% of readers know, ion propulsion, efficient though it is, changes the trajectory only gradually. Should serious spacecraft control problems arise during the final approach to Mars or while in orbit at one of its destinations, engineers want to be prepared to execute a rapid change in the trajectory. On October 22, the spacecraft’s capability to execute a hydrazine-based maneuver was verified. Dawn turned to a new orientation and fired 2 of its hydrazine thrusters simultaneously for 2 minutes. (Other hydrazine thrusters fired in other directions during this time as needed to keep the spacecraft stable.) The maneuver expended about 51 grams (1.8 ounces) of rocket propellant and changed the probe’s speed by about 8 centimeters per second (0.18 miles per hour). Although the boost in speed was quite modest, it was sufficient to demonstrate that the system could perform an emergency maneuver. While having confidence in such a capability, your correspondent expects (and invites you to share his hopes) that future occasions to write about the use of the reaction control system to change the trajectory will arise only while rhapsodizing about the differences between ion propulsion and conventional propulsion. The spacecraft has been in space almost 4 weeks now. Three days into its flight, when it was between 964,000 and 968,000 kilometers (599,000 and 601,000 miles) from Earth, Bill Dillon managed to capture portraits of Dawn among the stars. The faint smudge visible at 2.5 times the distance to the moon is Earth's last glimpse of its robotic ambassador to the cosmos. Although barely visible, indistinct, and unimpressive, what it represents is so much more: humankind reaching out from its tiny home into the vastness of space. Somehow this simultaneously recalls both our insignificance in the universe and our yearning to do our noble best. Dawn is 7.90 million kilometers (4.91 million miles) from Earth or almost 21 times farther than the moon. Radio signals, traveling at the universal limit of the speed of light, take nearly 53 seconds to make the round trip.